Prior to earning his DMD from the University of Medicine and Dentistry of New Jersey, Dr. Sutter also earned a BA in psychology and a BS in biology from the University of Nevada Las Vegas. During his training, he received several academic awards in his fields of study. To better provide his patients with world-class dentistry, he continued his training at the prestigious Las Vegas Institute for Advanced Dental Studies, focusing on cosmetic dentistry. Now, through his experience, skills, and dedication, he helps his patients achieve the healthiest smile possible to better their lives. In addition to the quality of the services you receive, your comfort and satisfaction are equally important to Dr. Sutter. From the moment you walk into the office, you will experience a different side to dentistry. Dr. Sutter and his dental team will make you feel right at home as you step into our warm and inviting practice. To help you feel at ease, you will enjoy many added amenities that are not found at traditional offices, like freshly-scented towels, refreshments, a wireless theater, warm blankets, and much more. During your appointment, Dr. Sutter and his team take the time to get to know you. They explain each phase of your treatment in full and answer your questions to give you peace of mind. With a team approach, he will work with you to create individualized solutions that meet your needs and your comfort level. To further promote your care and comfort, Dr. Sutter embraces the latest technological advancements, like digital x-rays. This provides him with a deeper insight into your oral health to better detect dental concerns while they are still small. He then develops precise treatment plans to quickly reinstate the health of your smile. Using state-of-the-art equipment, he will even show you what your smile will look like before you commit to a procedure. When it comes to your dental care, you should not have to settle for anything less than what you deserve. 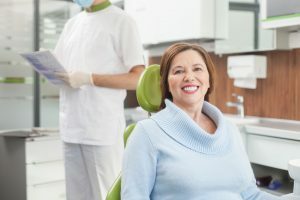 If you need a caring and qualified dentist, choose the area’s #1 local dentist. Contact Dr. Sutter’s office today to schedule your appointment. Dr. Ben Sutter is committed to providing exceptional dental care to the community. Supported by extensive training and qualifications, he offers advanced services to cater to everyone’s individual oral health needs. He will treat your family as his own as he creates generations of healthy, beautiful smiles through his award-winning services. Contact our office today to schedule your appointment.